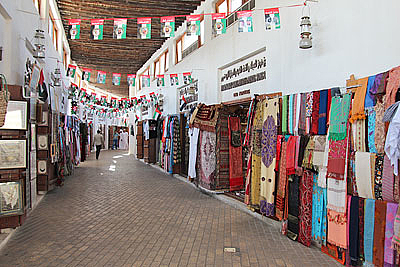 One of the oldest market places in the UAE. New and antique handicrafts, medicinal herbs, carpets, souvenirs. 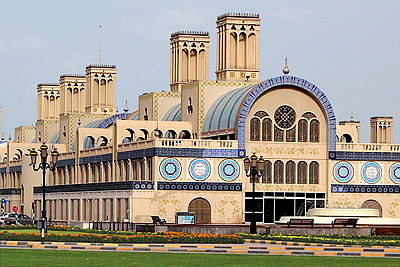 The Souk al-Markazi, designed as a bazaar on a grand scale, is one of the most impressive landmarks of Sharjah. In two interconnected buildings there are more than 600 shops. 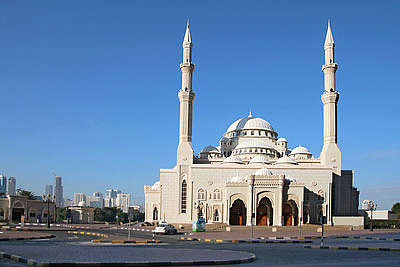 Often regarded as the most famous mosque of Sharjah. Completed in 2005, influenced by classical Turkish Ottoman architecture. Open for non-muslim visitors. 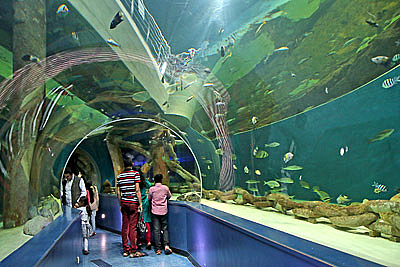 With over 250 species, the Aquarium showcases the variety of marine life native to the seas around the UAE. 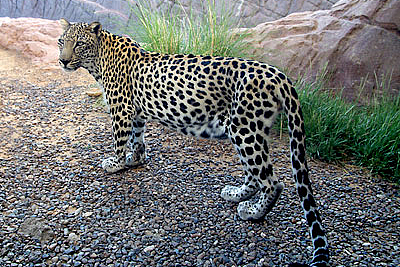 Opened in 2008, it covers an area of 6500 sq m.
The zoological park houses the world's largest collection of Arabian wildlife. 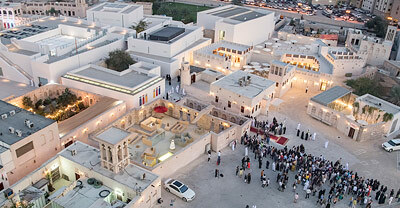 Located at Sharjah's Desert Park, about 25 km from the city.